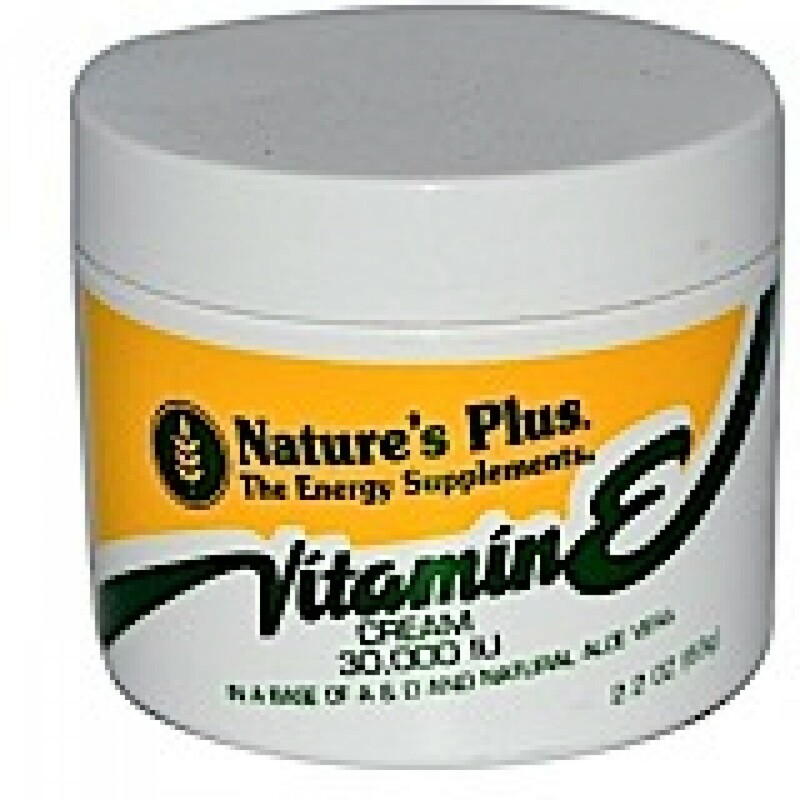 The only powerful yet cosmetically elegant Vitamin E Cream, providing Vitamin E as well as the renowned healing factors associated with Vitamin A, Vitamin D and Aloe Vera. 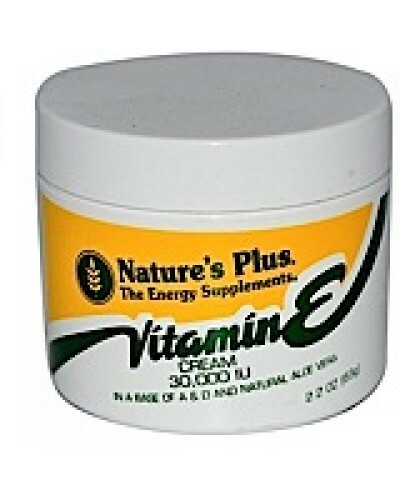 This paraben-free formula forms a protective coating to moisturize and help relieve dry skin, and may be used to help soothe minor skin irritations. 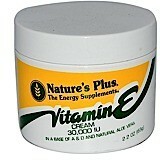 Nature's Plus Vitamin E Cream supplies 30,000 units of Vitamin E per jar in a base containing 2,000 IU of Vitamin A and 200 IU of Vitamin D.